Please read this complete ad listing before ordering it can save you up to 20%. 12" Upper case Unpainted Wooden Letter, cut from your choice of 5 different fonts, fonts are Georgia, Boyz R Gross,Curlz , Crazy Harold and Delta Hey Font. We offer 2 different Thickness, 1/4", 1/2", all the same price, Each picture here is of a different font, the font name is listed on the picture. All of our letters are cut from Plum Creek MDF consisting of 80% recycled materials. We offer Upper Case letters and numbers. These letters are great for home projects, home decor, gifts, School, etc. These letters will paint very well to suit your decorative ideas, but they do not stain well. with a key hole on the back for wall hanging. Orders are cut to order, we ship most orders with in 3-5 days of payment. 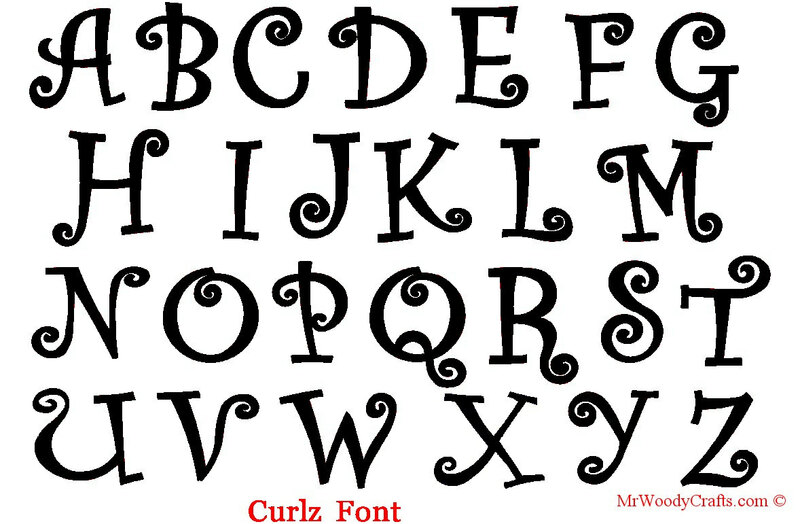 Each picture here is of a different font, the font name is listed at the bottom in RED.You will need to enter it under style at check out , then pick the letter that you are wanting , you can add as many styles and letters to your cart and then check out, IF you are wanting a special letter, number or symbol ( @#$&) use special in the letter drop down and let us know what it is in the buyer notes. SHIPPING is $6.95 for the first letter and $1.00 for each letter after that. For the first letter is $6.95 and each letter after that is $1.00. You can find discount codes and great idea's at our web sites below. Please LIKE us ! AND let us know, we will send you a 20% OFF CODE good for your next order. Good for 30 Days. DISCOUNT CODES, are posted on our web sites around the first of each month, you will need to use it when checking out with Etsy, If you forget there is no way of going back to add it after you check out. We offer letters in 5 different sizes, 5 different fonts and 2 different thickness.